Stormzy and Rita Ora have been added to the line-up for BBC Radio 1's Big Weekend. 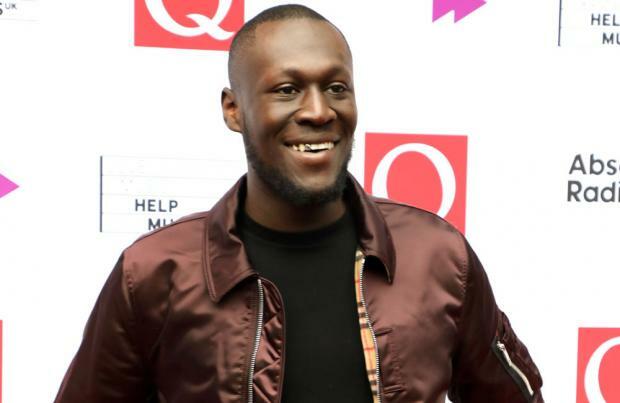 The Grime superstar and 'Only Want You' singer will be joined by a host of big names, including Ellie Goulding, Sean Paul, Billie Eilish, Anne-Marie, James Arthur, Charli XCX, Lewis Capaldi, Sam Fender and Vampire Weekend at the 16th annual music event, which will be held in Stewart Park in Middlesborough, between May 25 and May 26. For 'Rewrite the Stars' singer James it will be a homecoming show as he is from the city in North Yorkshire, northeast England. Referencing the city's football team, he said: "I'm honoured to be on the bill for Radio 1's Big Weekend, especially as they're off to my home town of Middlesbrough! "This is going to be an unbelievable show as the line-up is one of the best I've seen, so I look forward to being a part of it and giving the people of Middlesbrough and the surrounding area a quality show! UTB (Up The Boro!!!)" Also joining the stellar line-up are Sheffield rockers Bring Me The Horizon, Norwegian pop star Sigrid and house DJ Jax Jones. The new additions to the line-up follow the announcement that Mumford & Sons and US rapper Future are set to perform at the extravaganza. Miley Cyrus, The 1975, and Little Mix were the first artists confirmed for the two-day event.